ZR2 is built trail-ready for serious off-roaders, yet feels right at home in the city thanks to premium interior features and technology. 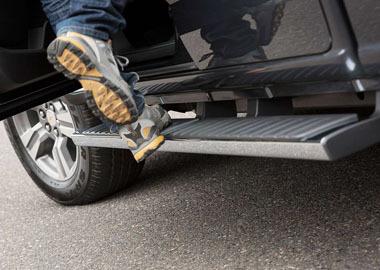 Off-Road Mode eases the transition from city to country, adjusting the calibration of engine, transmission and traction control systems to enhance performance in rough driving conditions. Available Spring 2017. 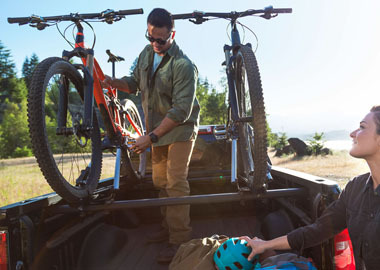 Providing available best-in-class horsepower and towing, Colorado offers advanced 2.5L I-4 and 3.6L V6 engines in addition to the 2.8L Duramax® Turbo-Diesel offering up to 30 MPG highway. Whichever engine you choose, impressive performance and efficiency ride shotgun on every trip. A fully boxed frame and shear-style mounts help provide a smooth ride on almost any surface. Four-wheel disc brakes with Duralife™ brake rotors help reduce wheel shudder, and Electric Power Steering provides a confident feel. 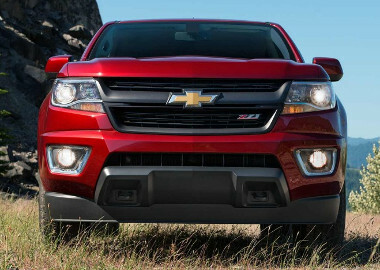 Colorado is packed with technology to keep you connected like available 4G LTE Wi-Fi® and Chevrolet MyLink with an 8-inch diagonal color touch-screen display. The available Chevrolet MyLink Radio with Navigation includes turn-by-turn directions and a 3-month trial of SiriusXM® Travel Link, all integrated into your MyLink system.